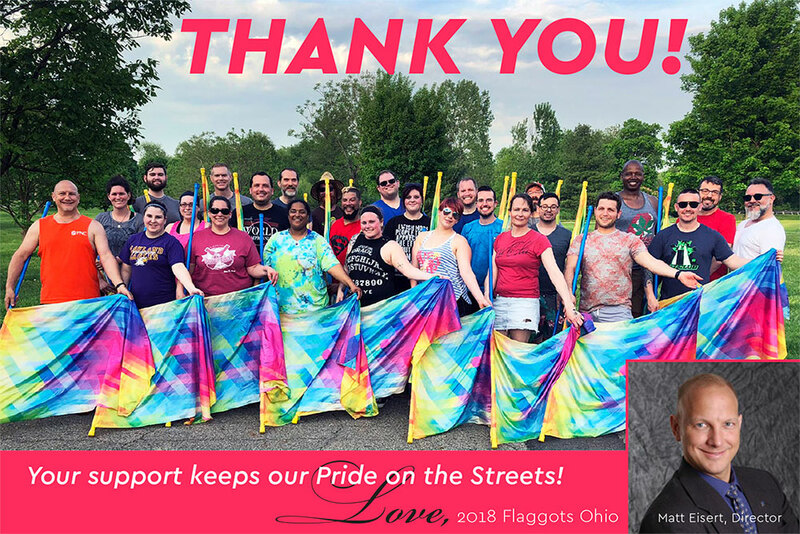 Could your business benefit from the exposure Flaggots Ohio can provide at LGBT events throughout the Midwest and beyond? Do you like our energy and want to help? Consider becoming a sponsor! Our sponsors appear on our uniforms, are verbally recognized in our voiceover introductions at Pride events every summer, and appear throughout our web and social media presence. Plus, we can arrange to perform at your business! Join the fun, help a good cause, and we’ll send you all the “L” for Love we can muster. Copyright © 2019 · Flaggots Ohio LLC. All rights reserved.